Your career path starts here. Already sounds like a good fit. Goodwill believes in supporting our employees by offering excellent benefits, professional development, and opportunities for advancement. Goodwill employees also have access to their own career coach, tuition reimbursement, and scholarships. We can help you with the job of finding a job. Goodwill provides job preparation courses, job placement, and career path opportunities to help people develop the skills they need to find jobs, earn steady paychecks, and become more independent. In 2017, Goodwill partnered with more than 700 employers to connect Kentuckians with 3,400 jobs. 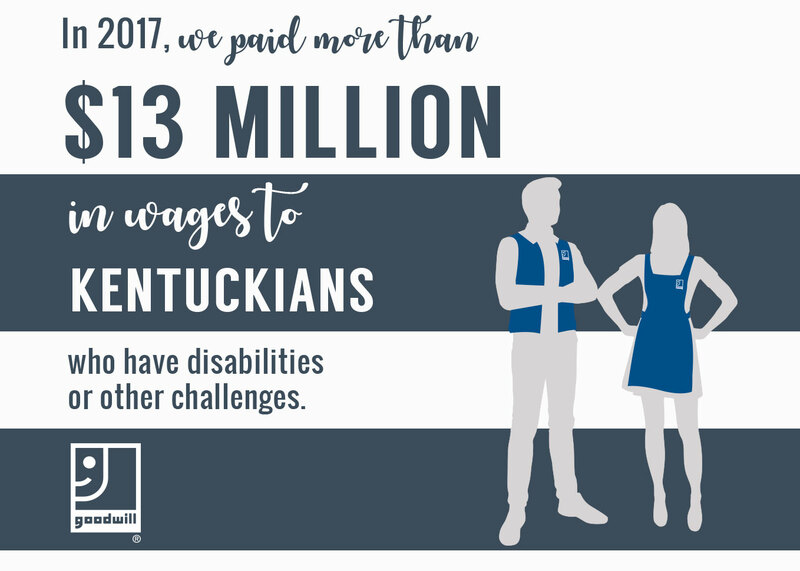 While we’re focused on connecting people with careers in high-demand fields like healthcare, manufacturing, and hospitality, Goodwill has placed Kentuckians into jobs in a wide variety of industries, including human services and social work, retail, administrative and clerical, landscaping, maintenance, and many more.